Get your own printed postcards, ideal for advertising promotions, promoting a new product or collecting customer feedback. Postcards are a great value print marketing tool, they are perfect for mailing or handing out. So What Happens When I Place an Order? See the steps we take when you order postcard from us. 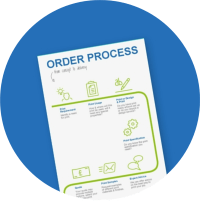 You can place your print order with confidence because our order process has been developed to give you control and assurance. Contact us to find out more about our postcards or to place an order.